Organizations, companies, and businesses at one point or another would need to ask for investments from key stakeholders and investors. To be able to successfully achieve this, you’d have to make a business case template to present to potential investors and stakeholders. A business case is an effective tool for promoting and guaranteeing that the investment is necessary for terms of the strategies and direction the organization is heading towards as well as the benefits that will result in it. 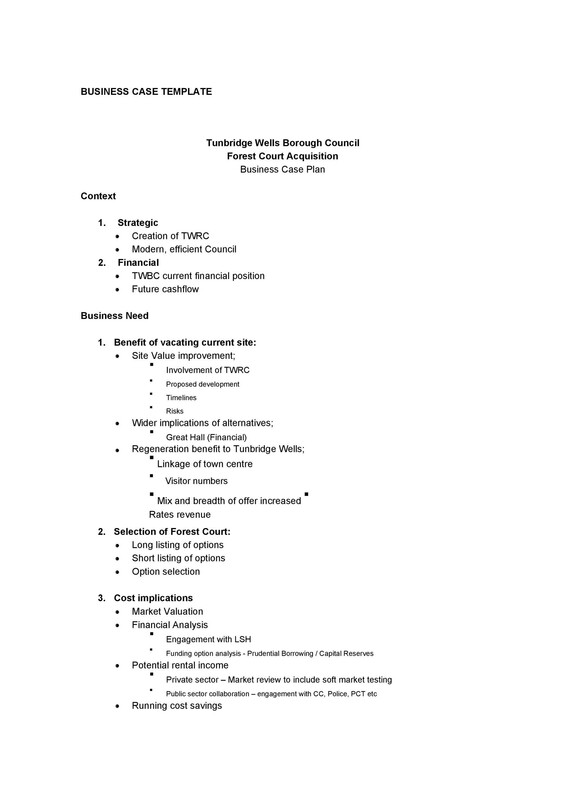 2 What is a Business Case For? 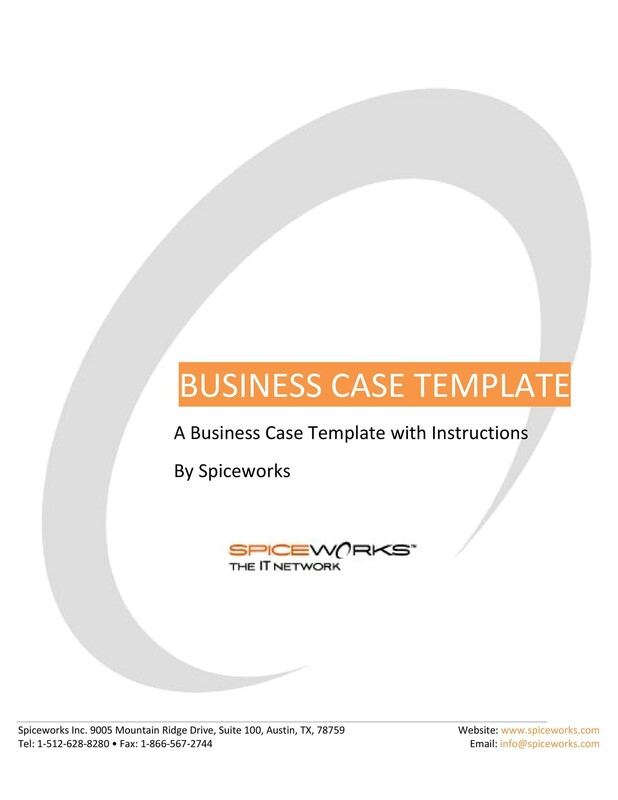 3 How Does a Business Case Work? Basically, it would contain the context of the investment, the benefits, the costs involved and a set of choices for key stakeholders, decision makers, and investors. It can also be used to determine how the success of the project or investment will be measured to be able to ensure that any promised improvements can and will be delivered. Any business case, business model or business proposal should support all the aims objectives of the organization and should work towards improving the entire organization. It’s also essential that key people such as those who are in charge of the budget are consulted when creating the business case so that they get a good look at the plans early on and they would be able to provide comments or input before it is finalized. 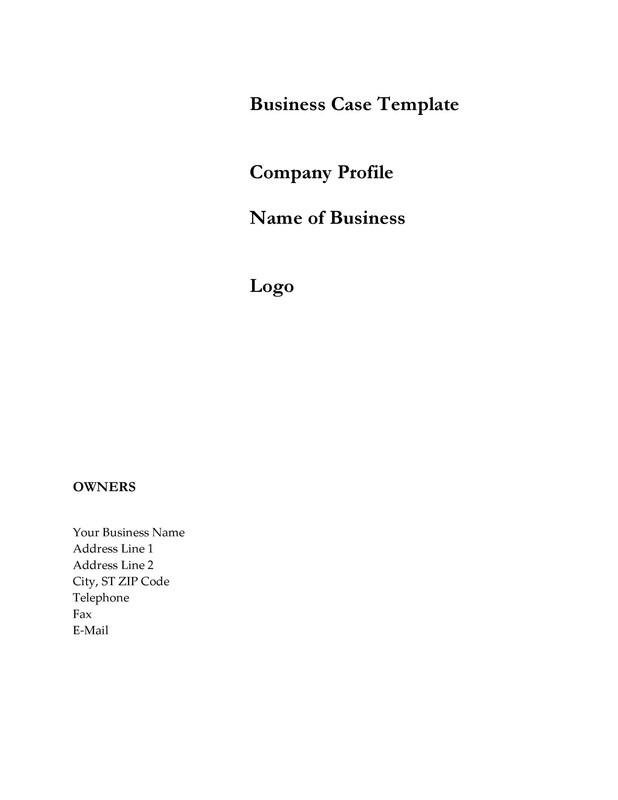 Making a business case would entail quite a lot of work and the process of making it should follow any policies or procedures in an organization. 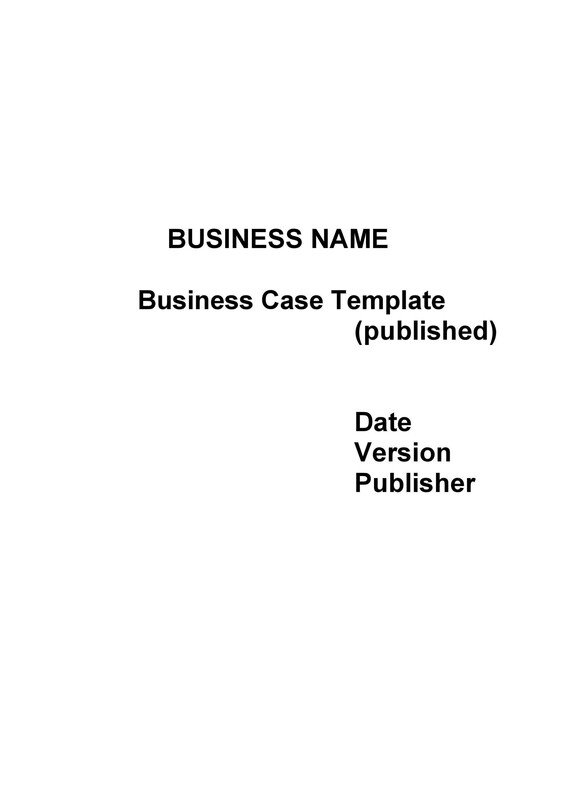 In this article, you will learn all you need to know about business cases as well as some steps and tips in making your own simple business case template. 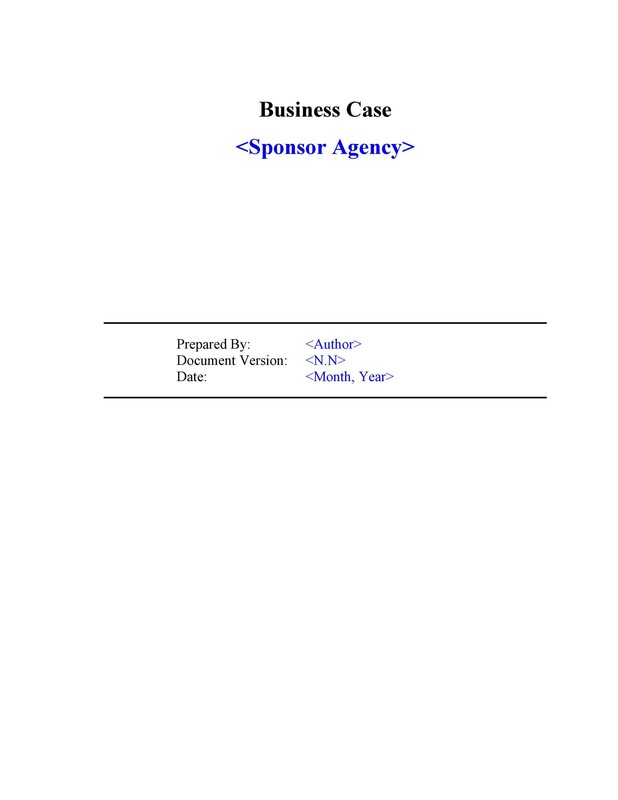 Read on to learn all about business cases for your organization or company. 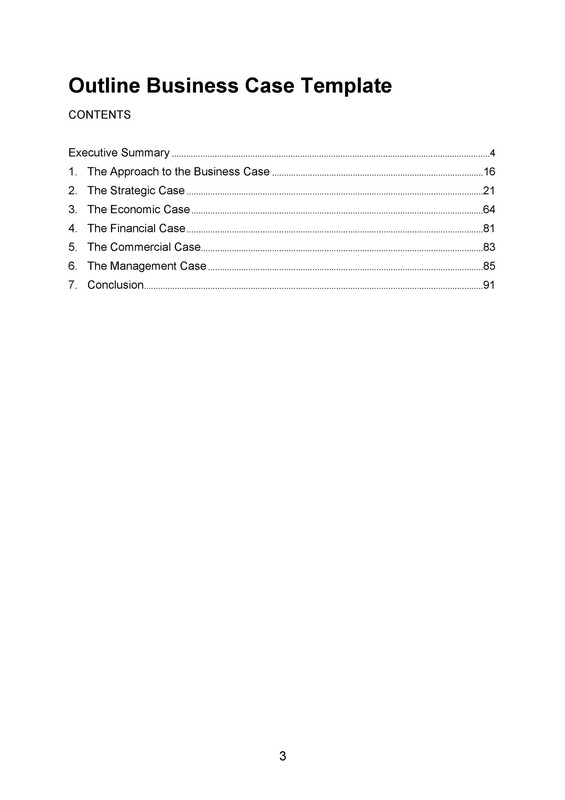 What is a Business Case For? The company might end up wasting time, effort and other precious resources on projects which won’t actually be able to give benefits or help the company reach its goals and objectives. This would then lessen the available resources for more valuable, practical and feasible projects which may have been more beneficial for the company in the long run. The company would have no way of clearly prioritizing the potential projects because the project importance had not been established. 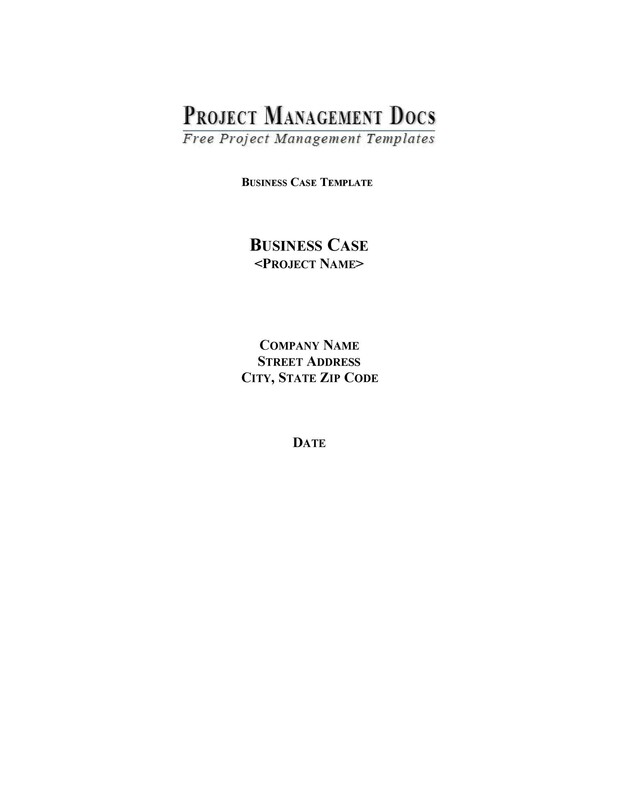 A business case can be a reference for measuring the value of projects so if each project has one, you will be able to determine which are the most important and which can take a backseat until more resources are available. Companies need an effective and realistic way for deciding which projects should be implemented first and having a business case would help out a lot. Not only that but it can also be used to track the progress of the project and see if its continuation is still practical. Stakeholders and investors might end up disappointed at the end of the project especially if their expectations were not met. Creating a business case would give the investors and stakeholders enough information regarding your project and what benefits and returns on investment come with it. It would be crucial for them to be informed of all these so that they know what they are getting in to and what is to be expected upon the project’s completion. Having a well-developed business case might also give a more positive result from the investors and stakeholders wherein they would feel more inclined to invest in your project or your company. The company would not have established any goals, targets or objectives. 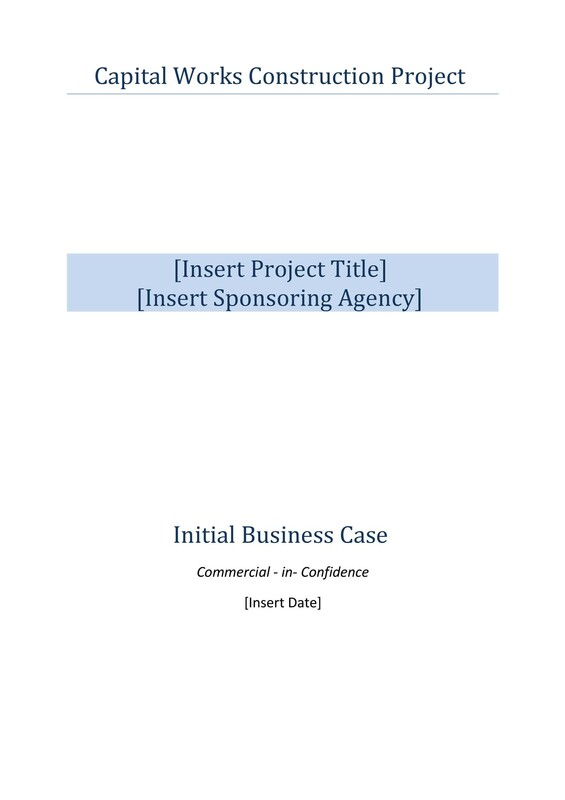 A business case is created in order to explain why a project was initiated and what benefits would come of the project upon its completion. It gives clarity to everyone involved in the project and it would be used as reference for knowing when the project is completed because the objectives and end goals would have been clearly defined. The company would have no way of knowing how or when to improve on the project. This could pose a big problem especially if the project was planned to be long term. At some point the people involved might lose sight of what they are supposed to be doing to reach their goals. 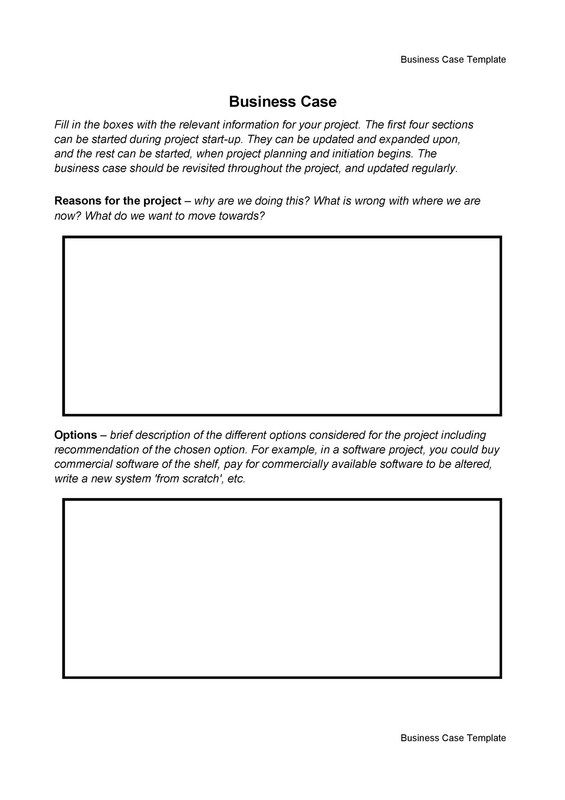 To be able to avoid all these problems, you can make a business case before you actually begin any kind of project. 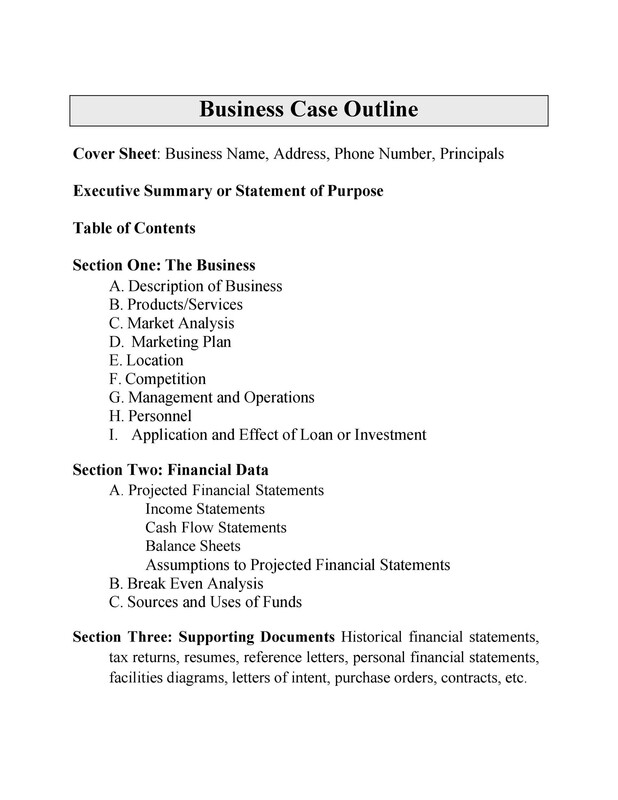 Now let’s move on to how business cases actually work for you to get a better understanding of why you need one. 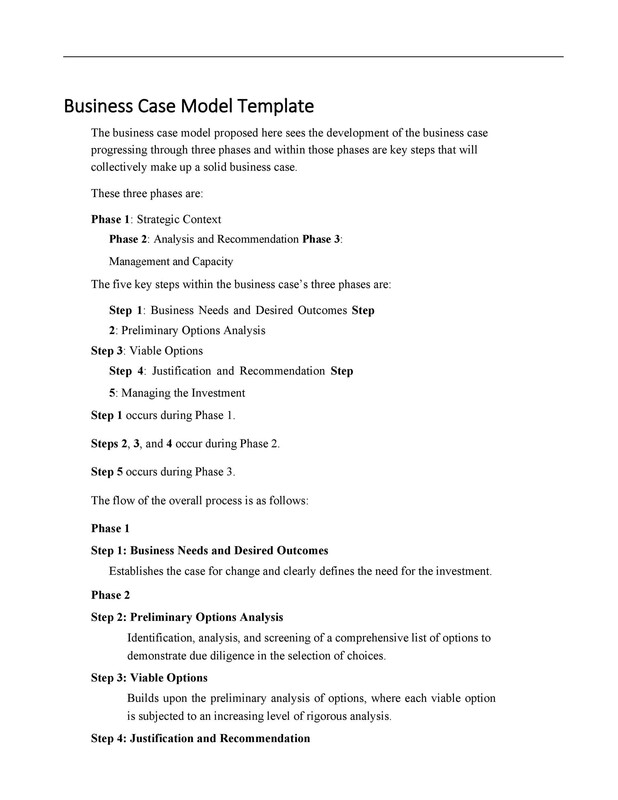 How Does a Business Case Work? 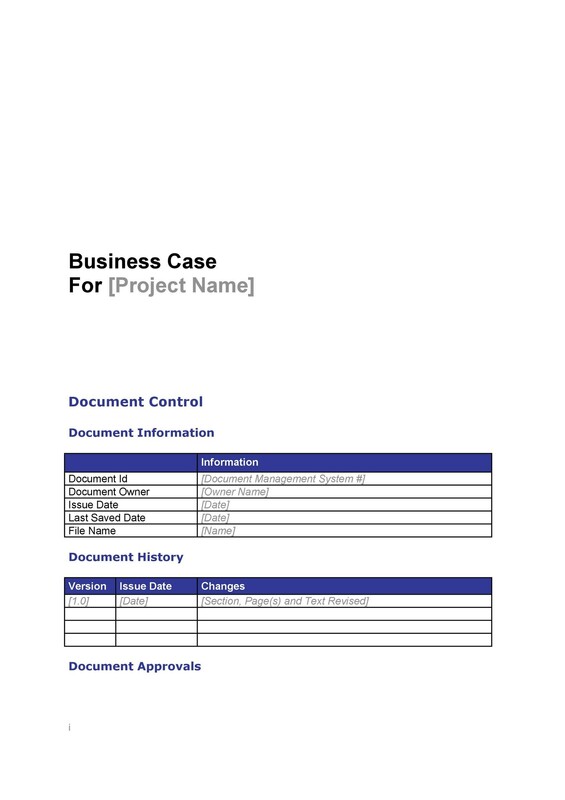 As you can see, business cases are important in the successful planning and completion of a project. 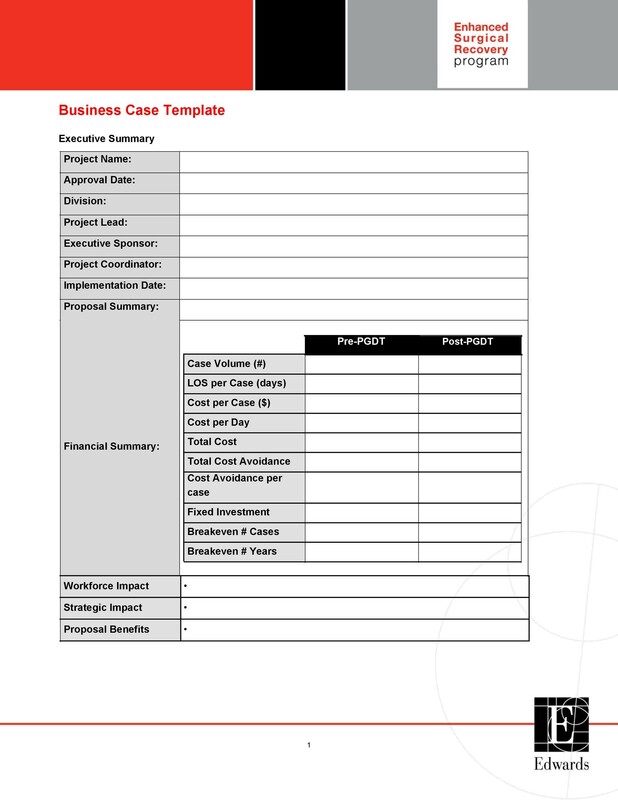 Simply put, a business case is a point of reference for planning, implementing and evaluating a project. In the planning stages of a project, the creation and development of a business case would help you define the ultimate objectives and final goal of the project for the information of everyone involved – stakeholders, investors, project team and the project manager. The people involved in the project may have their own input and expectations of what they think the project should achieve at the end of it. A business case would move the conversation from “What are we going to build?” to “Why are we building it?” This then gives validation for why the project there is a need for the project to start. 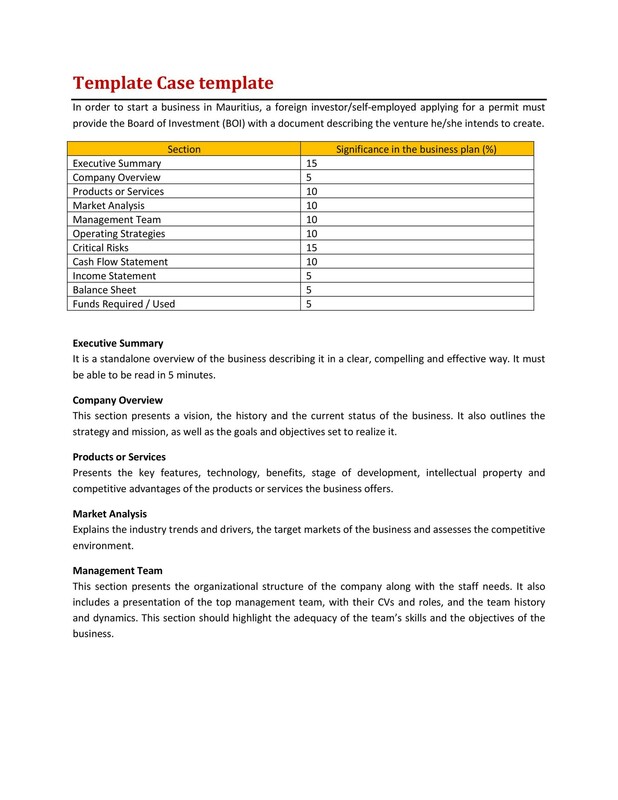 The business case also clarifies all the expectations as well as any misunderstandings or disagreements regarding the goals and objectives. 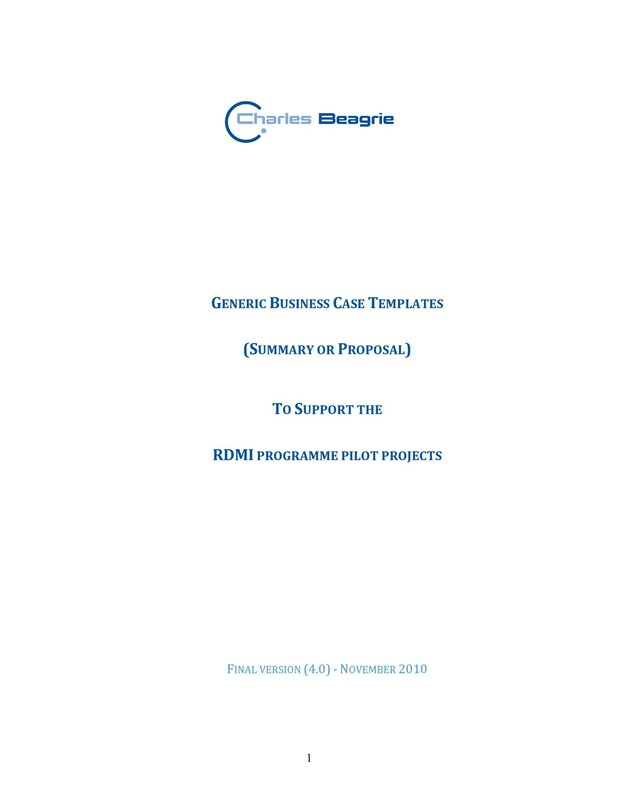 While the project is progressing, the business case then becomes the reference point or the guide so that all of the participants are moving towards the same direction. 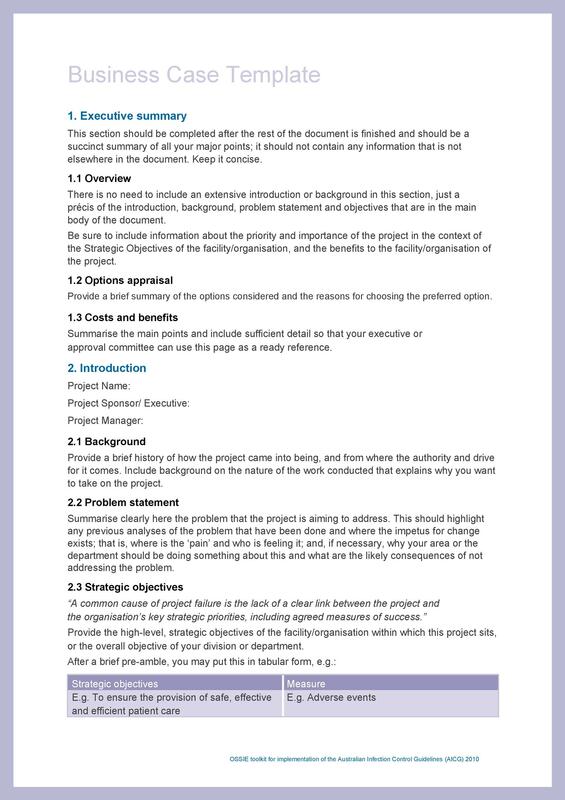 It frequently helps keep the project manager informed on the status of the project and what steps are needed when other options come to light. 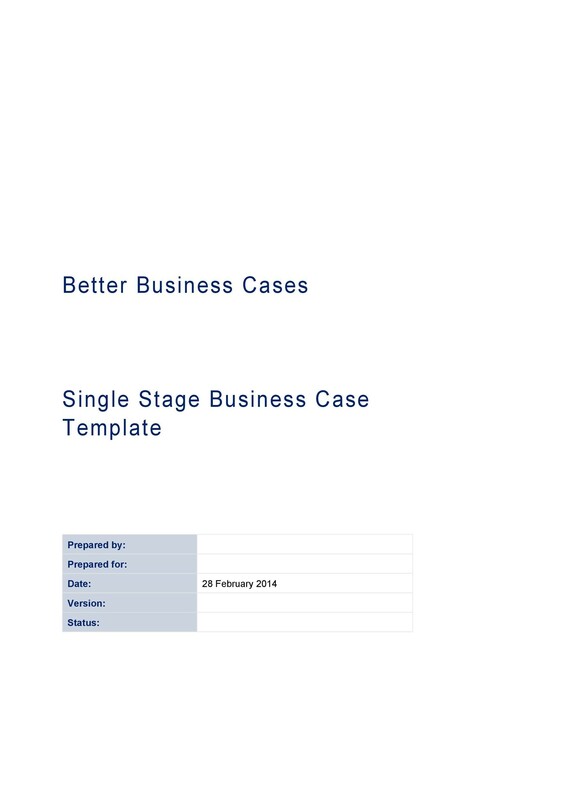 Using a business case, the stakeholders will also be able to keep track of the whole project and the progress of it to decide whether they should continue with it that is if it is still working towards the goals and objectives of the company. Were the expected benefits incorrectly estimated? Were the deliverables which were developed actually wrong? Did we focus on the aspects of the projects which were not actually relevant? Did something happen in the course of the project which we should have expected or taken into account? 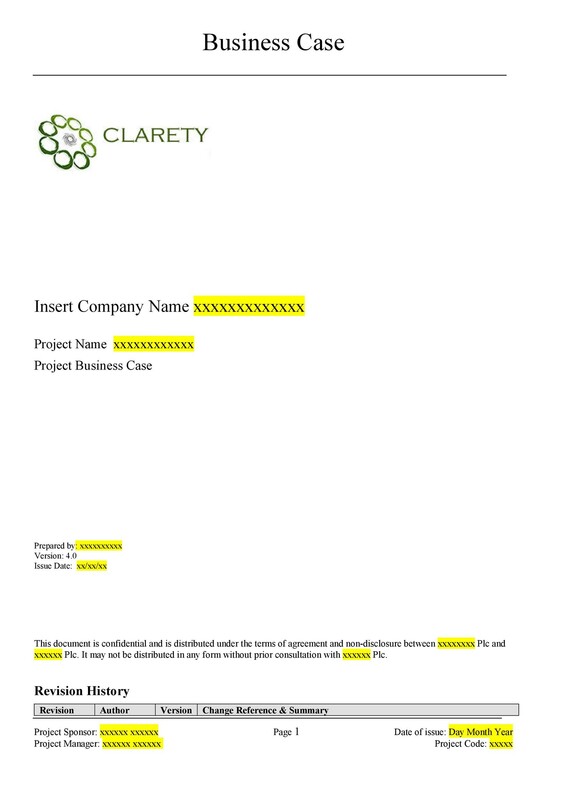 As you can see, a business case is important to the project from start to finish so you need to start learning how to create one for your company. 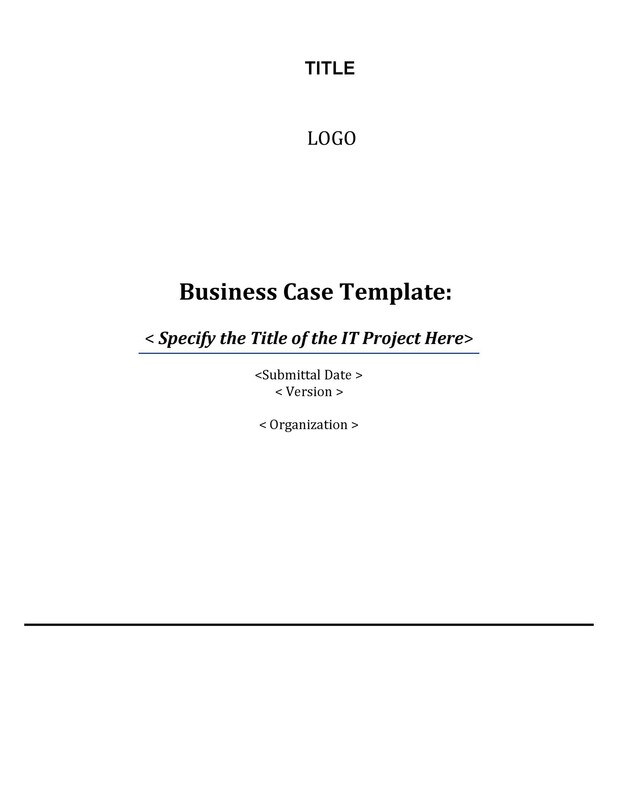 To be able to make an effective business case or even a simple business case template, you should include some important elements on it. 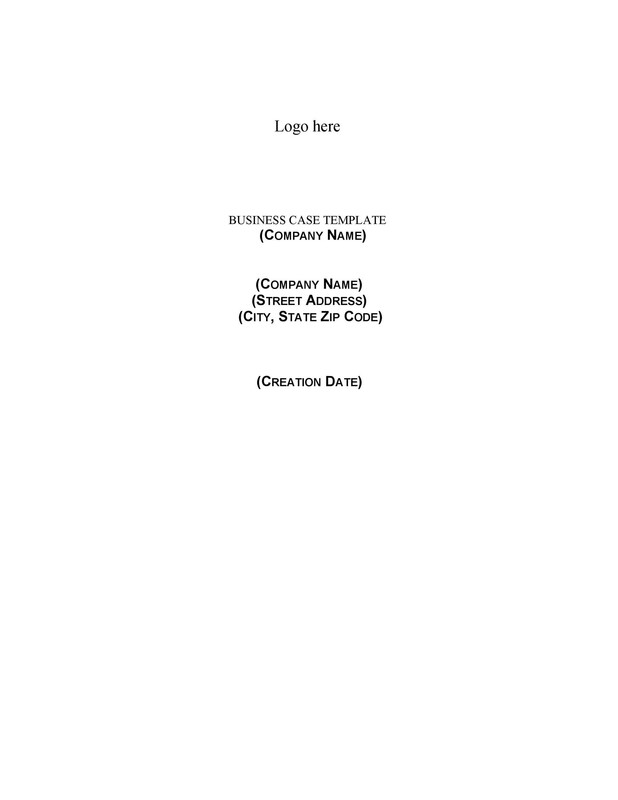 These elements are essential so that your business case template contains all the relevant information so that whoever reads it – most especially potential investors, would understand it fully and make decisions based on what is written on it. 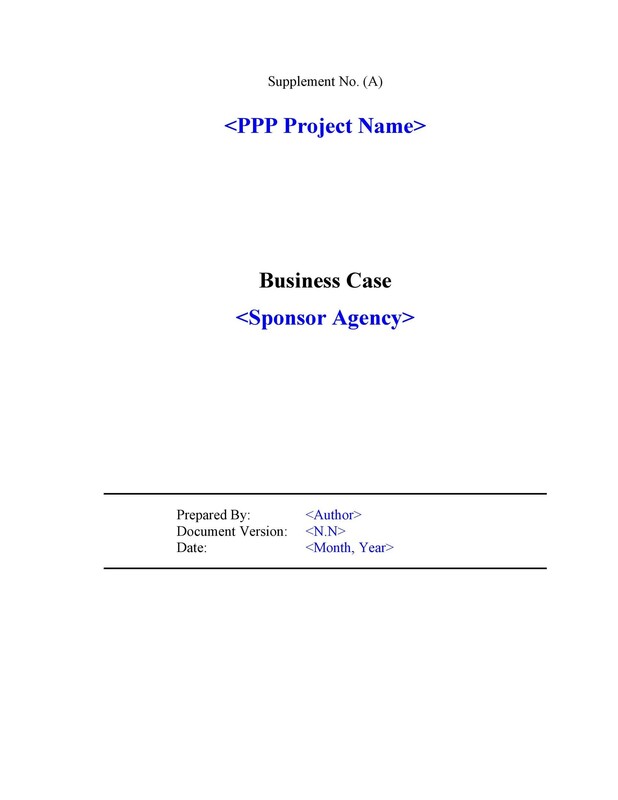 The context for why the project was initiated and considered, the problem or issue which led to the formulation of the project and the background of the project. Any possible changes such as seeing that the project is actually already irrelevant or that there is a much more feasible option. Possible solutions to the problem along with any results of the solutions. Indicate which solution was chosen. These are needed to be able to understand the different options which were considered and why that particular solution was chosen over all others. Also consider that the options which were not selected may turn out to be the better option as the project progresses. The positive results the project will yield, which will help the organization. Any risks or limitations which might occur during the implementation of the project and hot to deal with them or minimize them. What the benefits are and when they are expected to come or be realized. These benefits are basically what the organization wants to get out of the investment and what return of investment there is. Plan out the time needed to complete the project along with all the funding or budget needed to complete it. Operational and maintenance costs can also be included if they are needed for the benefits of the project to be realized. These have to be compared with the expected benefits so that you can determine if your project is feasible and worth starting. Any opportunities which could hasten the likelihood of the benefits being attained or any threats which can endanger the whole project and its success. Opportunities and threats can change constantly which means that at any point your project might cease to be viable. 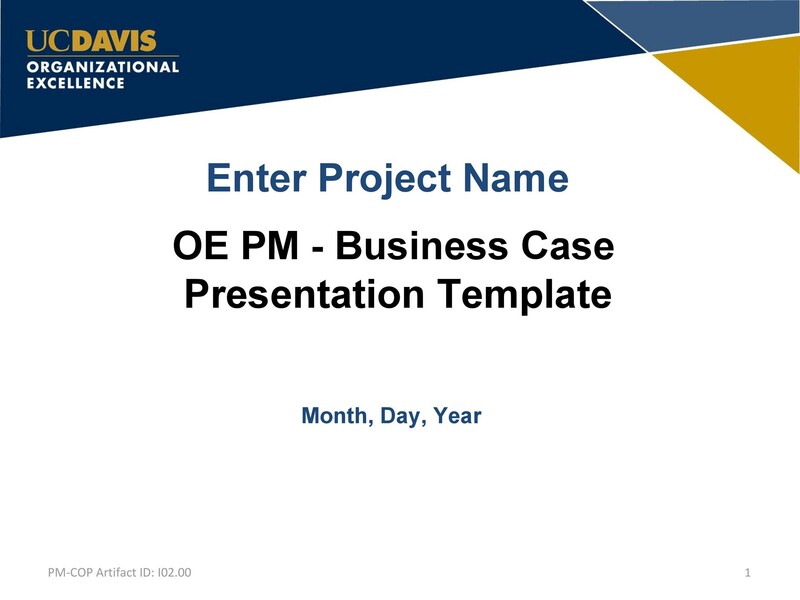 Now, that you know the most important elements which should be part of your business case; let’s move on to how you can actually make your own template for your organization. 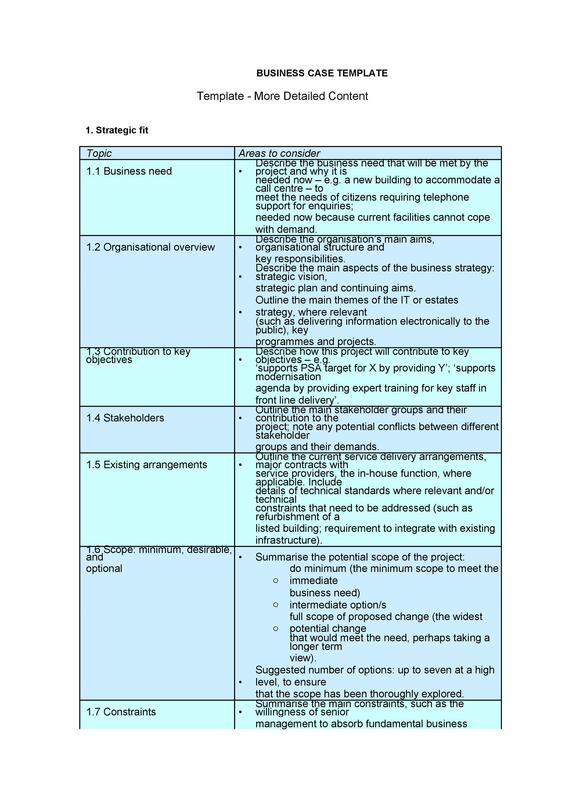 Before you even start writing your business case, you would need to do a few things first. 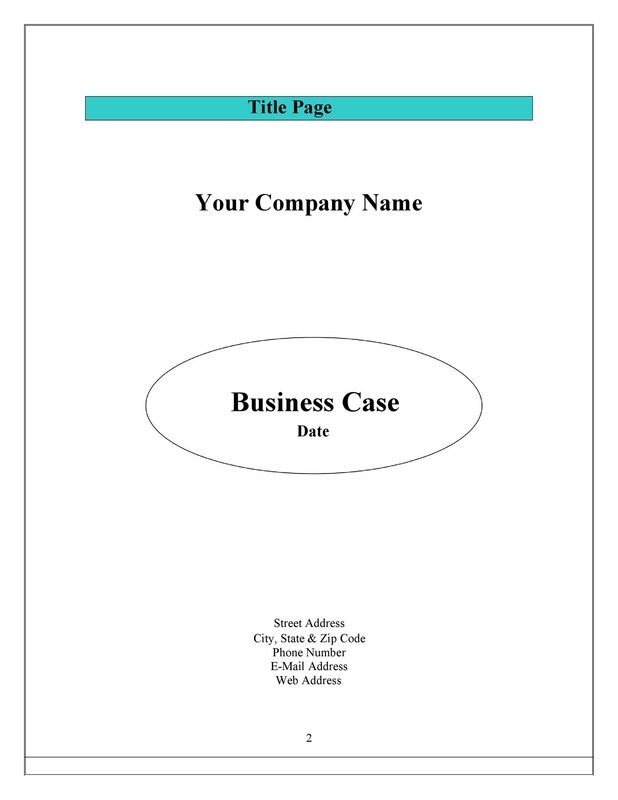 The actual process of creating a business case document would actually be one of the last steps before presenting it. The reason for this is that as you are going through the steps prior to actually making the business case, you might discover that the project you are intending to start might not actually be realistic or feasible. 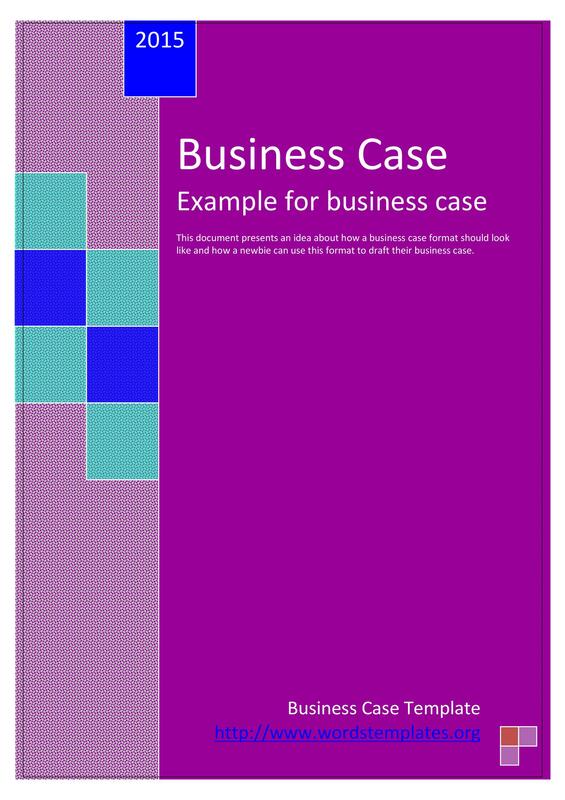 Creating a business case can take a lot of time and effort so early on, you’d have to evaluate before developing your business case. The very first thing you would have to do is to define then analyze the situation which initiated the need for the project. 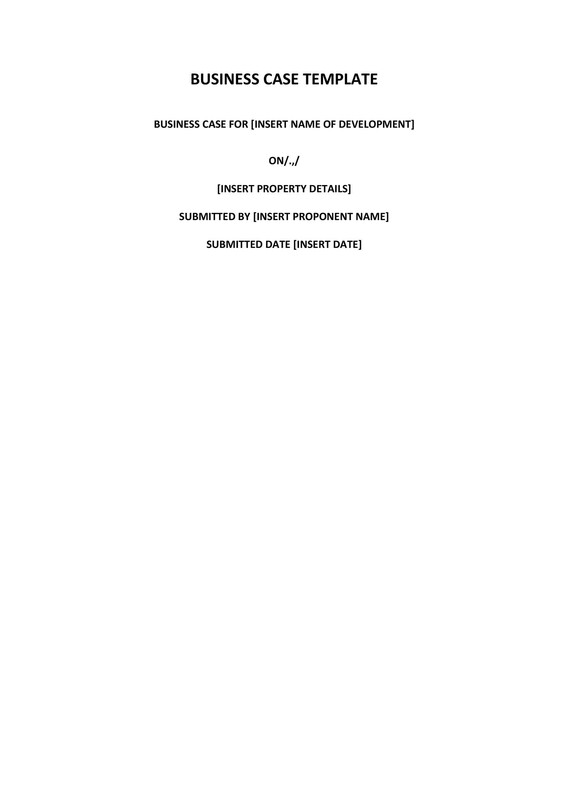 You would have to identify the problem and examine it thoroughly so you can also determine what requirements you would need to create your business case as well as an estimate of any requirements you would need for the project. After that, you should start identifying all the resources you would need as well as the data sources which would be required to support your business case. 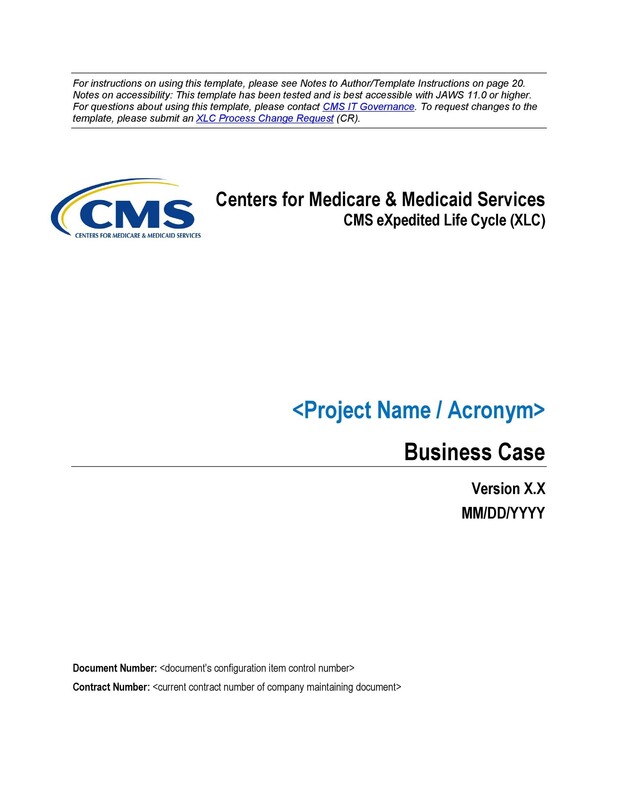 These sources may include but won’t necessarily be limited to case studies or historical data from projects which are similar to the one you’re planning to do, demographic studies or any funding sources from within the organization. Once you’ve gathered all the data, you can start making initial plans for your business case along with key people who will be able to give relevant input or help out in making decisions. Brainstorm and share different ideas about the project as well as any opinions about whether the project is worth doing or if it is feasible. 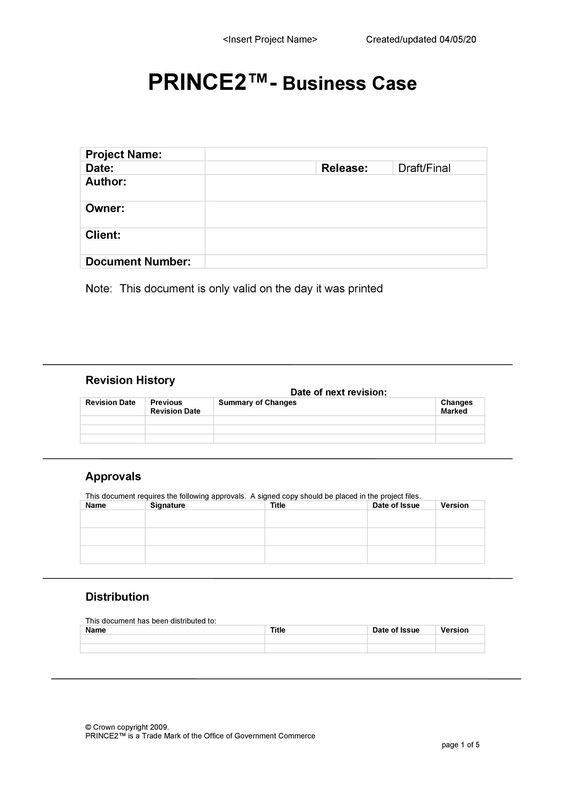 From all the inputs you get from key people, you will have a good idea of whether the project will most likely be approved and if you should continue on making your business case document. If you think it’s still a good idea to proceed, then you can start making your business case. 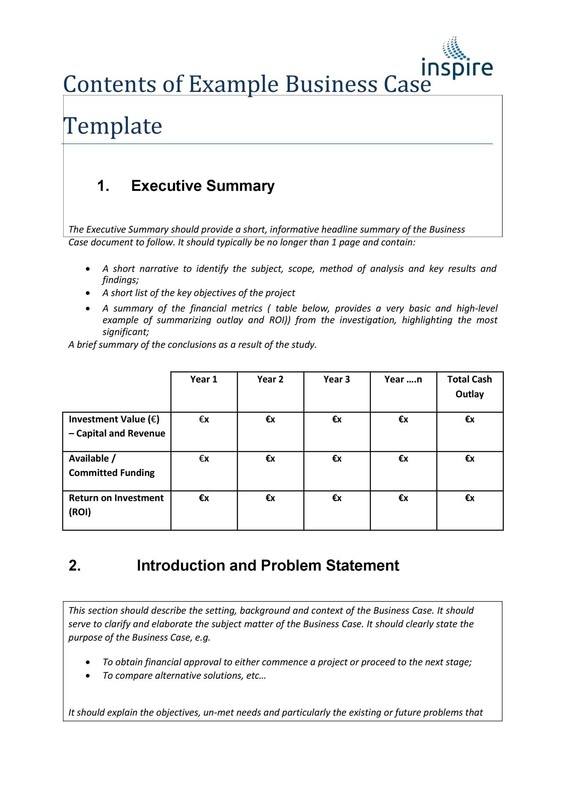 It is vital for your business case template to have an executive summary, which is an overview of your whole business case. It defines the main concern the project is intended to solve using plain and simple language. It should also contain all the main considerations, the resources needed to complete the project, the preferred outcome as well as the benefits of the project. You should also include any predicted returns on investment since investors and stakeholders have a tendency to only read the executive summary to get a whole idea of the business case and what the project is all about so that they can decide on whether they would like to invest. 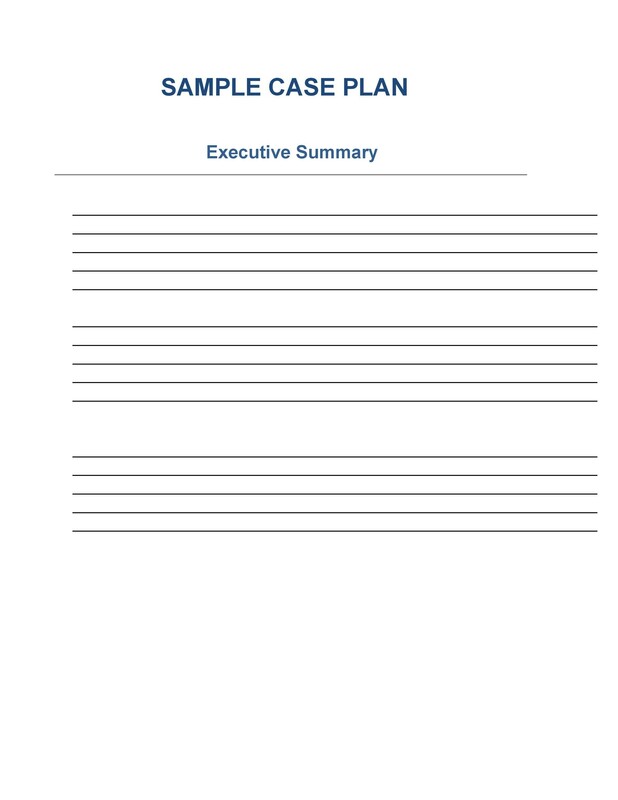 Though the executive summary is found at the beginning of the business case, it is usually written last, after all the other parts of the document have been completed. Make your problem statement, which is a clear explanation of the problem or issue which your project is meant to solve. Establish all the issues which need to be dealt with such as any opportunities which had been missed, critical responses from consumers about any products or services you may have or any undesirable market or employee performance. Include an analysis of the situation which basically explains the circumstances behind the issue in more detail and why it came about. It also gives an account of any potential problems which may be encountered if the situation doesn’t chance. After that would come the solution choices wherein you would make a list of probable solutions to the issue you are faced with. Be sure to make a detailed explanation of the all the possible solutions which would be easily understood by whoever will read it. 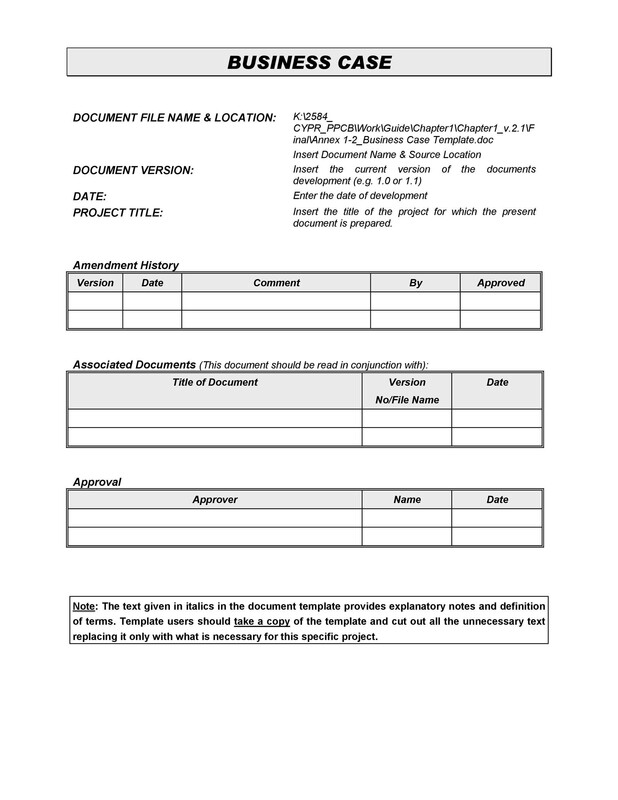 Then comes the project description, which would contain all the details about your project. Also make sure to add in the resources you would need, the timeline as well as any goals or milestones. You can also include possible risks which can be involved in your project, plans for resolving them and any measurable criteria you can use to ascertain the success of your project. Next would be the cost-benefit analysis which would be an evaluation of any costs and benefits for all possible options. To make it easier to understand, you can make use of charts or graphs to illustrate the information clearly. It’s also important to incorporate the predicted financial benefits to the company as well as when the payoff is expected to happen. Finally, you should include any recommendations for your project on how it should be executed and implemented. Also include a recommendation for regular checking of the progress and status of the project. Establish the context of the situation and the problem by assembling a history leading up to why the project has been created. This would create a clearer picture of the entire project and all the project objectives. Identify all the similarities with past projects, highlight the differences and make sure that any irrelevant information is not included in the context of the current situation and the most current issues and concerns. Make sure to look out for all possible opportunities and make sure to respond to them on time and appropriately. Opportunities may come in many forms so be sure to catch them all so you don’t miss out on anything important. Set your goals and develop your strategies effectively by defining them at the very beginning of your project. Goals, objectives and strategies are one of the most important parts of the project so make sure they are clear in the business case. Clearly, explain all the benefits and return investments which will come up at the end of your project. These are also relevant so you know what to expect upon the completion and you also know that your project is successful because the benefits have been realized.